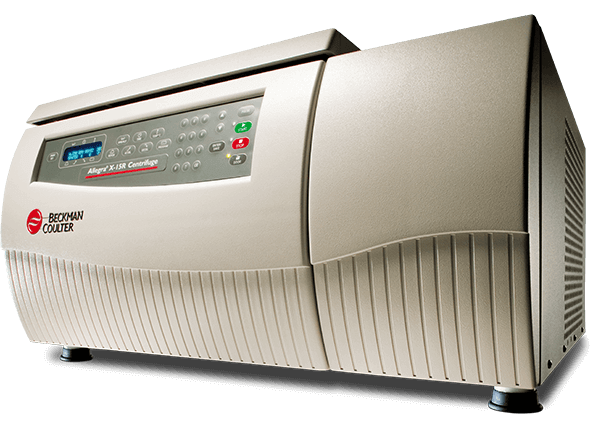 Allegra X-15R Blood Sample Preparation Application Package, 230 V, include the Allegra X-15R refrigerated centrifuge, the SX4750 4 x 750 mL swinging-bucket rotor and four 13 mm diameter and four 16 mm diameter tube adapters (tubes sold separately). The Blood Sample Prep Application Package maximize throughput and capacity -- processing up to 120, 13 mm diameter blood tubes or 76, 16 mm diameter blood tubes per run. Increase laboratory safety with available BioCertified bucket covers (Part Number 392805, set of 2 - not included). The maximum speed/RCF is 4,750 RPM/ 5,250 x g.